The Hoop Project in Gallipolis City Park. 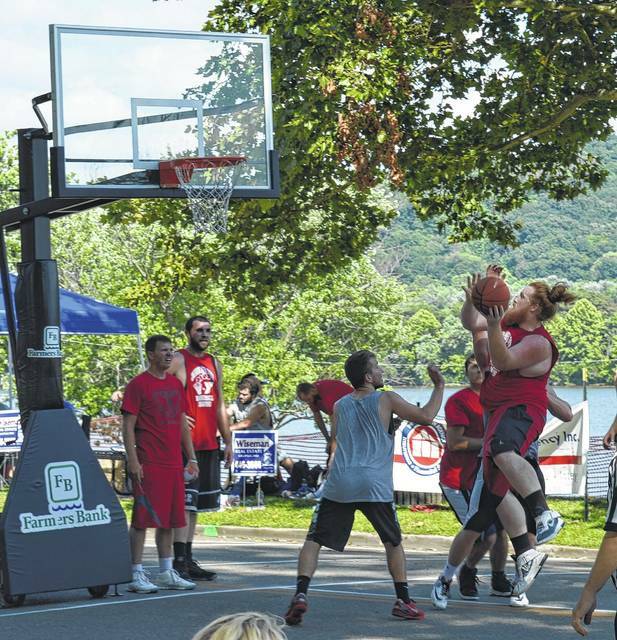 GALLIPOLIS — Gallia’s three-on-three basketball tournament, The Hoop Project, will be returning July 21 and 22 with age brackets for children and on into adulthood. 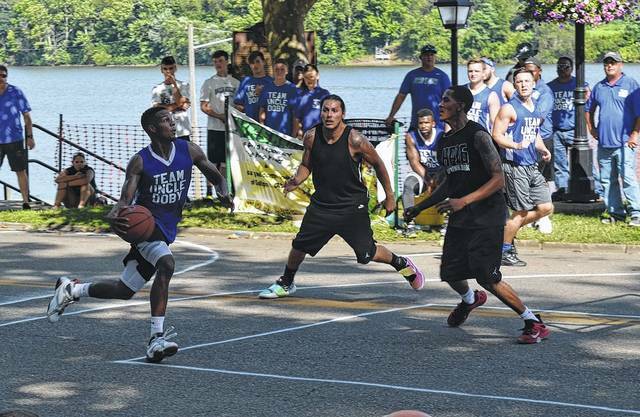 The Hoop Project has traditionally been a double-elimination style tournament bracket. The deadline to register is July 14 at 9 p.m. Referees will be available for every game and professional medical staff will be on hand. The event has been recognized in recent years as being the largest operating event held in Gallipolis City Park. The event was originally organized by the Downtown Revitalization Project with a goal to generate revenue for local businesses and provide entertainment to attract visitors to Gallipolis. It has featured a variety of attractions in the past. Youtube viral performer Froggy Fresh performed before crowds last year. This year bounce houses and food are being discussed for Saturday events. In the first year, the event had 65 teams sign up, then 75, then 115 and 2016 had 155. Pugh said the event has grown every year and upcoming years made need to reconsider logistical needs given the size of the event. Last year, the event featured around 180 teams with six players each. https://www.mydailytribune.com/wp-content/uploads/sites/42/2018/06/web1_Hoop-1.jpgThe Hoop Project in Gallipolis City Park. https://www.mydailytribune.com/wp-content/uploads/sites/42/2018/06/web1_Hoop-Project.jpgThe Hoop Project in Gallipolis City Park.